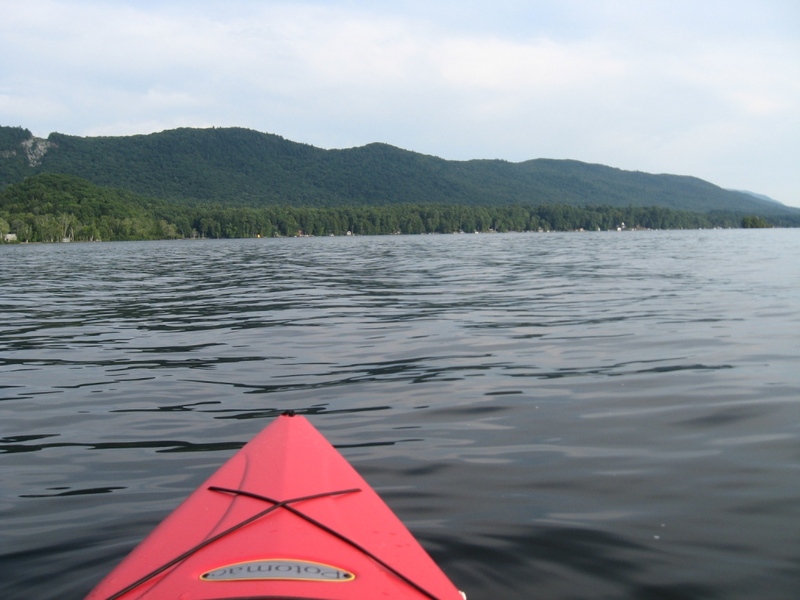 While kayaking on Lake Dunmore, I have often admired the rugged looking ridge to the east of the lake, starting from the tower in the north, and heading south towards Forestdale in an unbroken, but undulating ridge. Consulting my Moosalamoo Region National Recreation Area map, available for free at the forest service office just south of Middlebury on Rt. 7, I noticed that there was a trail which followed this ridge, named “Chandler Ridge Trail”. This looked like it could make up part of a potentially spectacular, albeit long run. I was a little bit apprehensive at first however, as access to this trail required some running along the less traveled west shore of Silver Lake, and my previous experience with this trail indicated that while it was scenic, it was very rough, rocky, and not really suitable for running. I could only imagine what the even less traveled Chandler Ridge trail was like. Nonetheless, on a cool, low humidity August afternoon, my curiosity got the best of me, and I decided to explore it. This ended up being a very good decision. The run started from the usual place – the Falls of Lana parking lot, just past Branbury State Park. The bad news was that this run started with about 15 minutes of unrelenting steepness on the forest service road heading up to Silver Lake. The good news was that this was by far the steepest climbing on the run. When I reached Silver Lake, I headed to the right over the dam, and followed the trail heading along the west shore of the lake, apprehensive about the trail conditions, but was in for a pleasant surprise. Unlike previous runs here, the trail had clearly seen some recent attention, and was now altogether enjoyable for running. 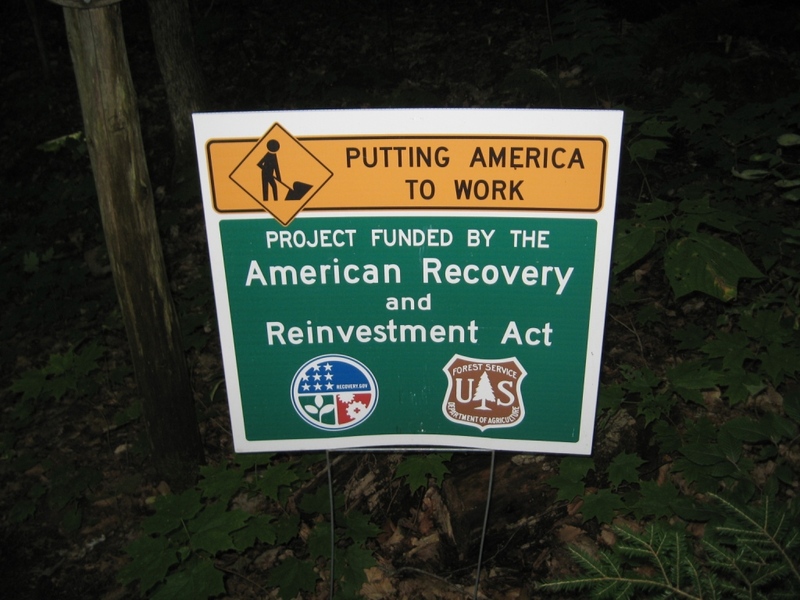 Very early on, the source of this trail maintenance was quite clear – the VYCC (Vermont Youth Conservation Corps) had received some stimulus money to do some badly needed trail maintenance in this popular backcountry destination. Now that’s what I call putting tax dollars to good use! Good Use of our Stimulous Dollars! After about a half mile on the Silver Lake trail, I came upon the well marked right turn up to the Chandler Ridge Trail. This trail had also seen some recent improvements, so over most of the next 4 miles, the footing was excellent, making for great, albeit slow running. The best thing about this trail from the runner’s perspective is that it is constructed with lots of gentle switchbacks to get up and down the steeper sections – a rarity in northeastern trails, but great for running! 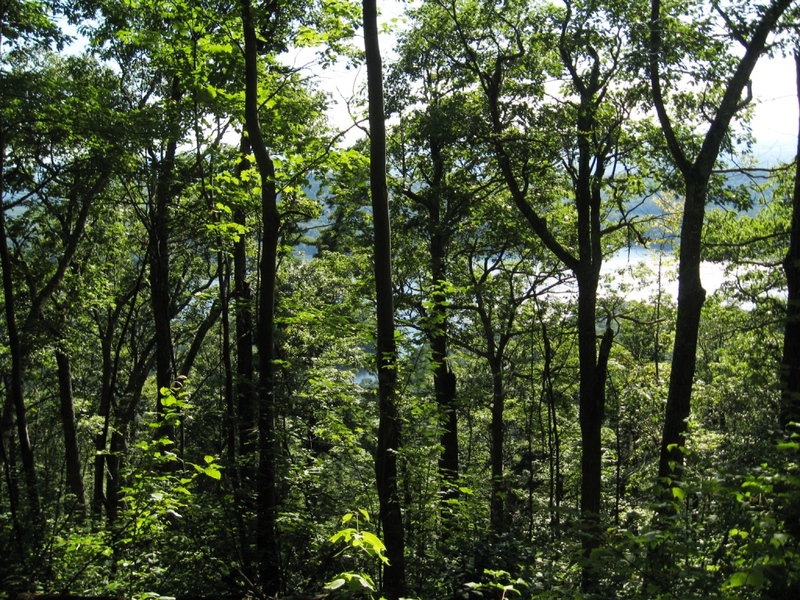 After only a few hundred yards of gentle climbing, I reached the top of the ridge, and over the next few miles I was treated to intermittent views through the thin hardwood forest to the west over Lake Dunmore, and to the east over Silver Lake – in one short section, I could even see both lakes simultaneously. This would make for an amazing late fall run as well – the views will certainly open up spectacularly after the leaves fall. Eventually the trail started its descent while veering to the left, as expected from my map. There was one point of some confusion, where the recent trail renovations and lack of signs made my next move less than totally clear, but since I knew I had to stay left to find my way to the Leicester Hollow Trail, that strategy got me there. I found myself on the heavily used Minnie Baker Trail, down a short steep trail to get to the stream flowing through the hollow. At this point, I was about a mile east of the Lake Dunmore Road, and according to my memory, I had a long gradual ascent back up to the campground on the east shore of Silver Lake. It immediately became obvious that my memory of this section of trail was clearly out of date! I had remembered the old Leicester Hollow Trail, which was an abandoned road heading up from Forestdale to the site of the old hotel which used to grace Silver Lake, but what I had forgotten was that the flash floods of 2008 had decimated this trail, and the next mile or so reflected this. While the VYCC folks have partially repaired this stretch of trail, there were still plenty of sections which were essentially rock hopping in stream beds, making for pleasant walking, but the footing wasn’t good enough for much in the way of running. After about a mile of this, I got above the washed out stretch, and the trail reverted to that of my memory – long, straight, and gradually uphill through a tunnel of heavy forest. I did come across one sight which piqued my curiousity however – in one small area there was a partial clearing, with the obvious indicator of its former inhabitants – a small, ancient apple orchard. An 1871 map of Leicester, available online, showed that this homesite was owned by Mrs. F. Glynn. Does anyone know anything about her life at what must have been a very remote place to live? If you are interested in seeing the details of this map, you can download it and view it in Microsoft Office Picture Manager, which allows you to magnify it easily. 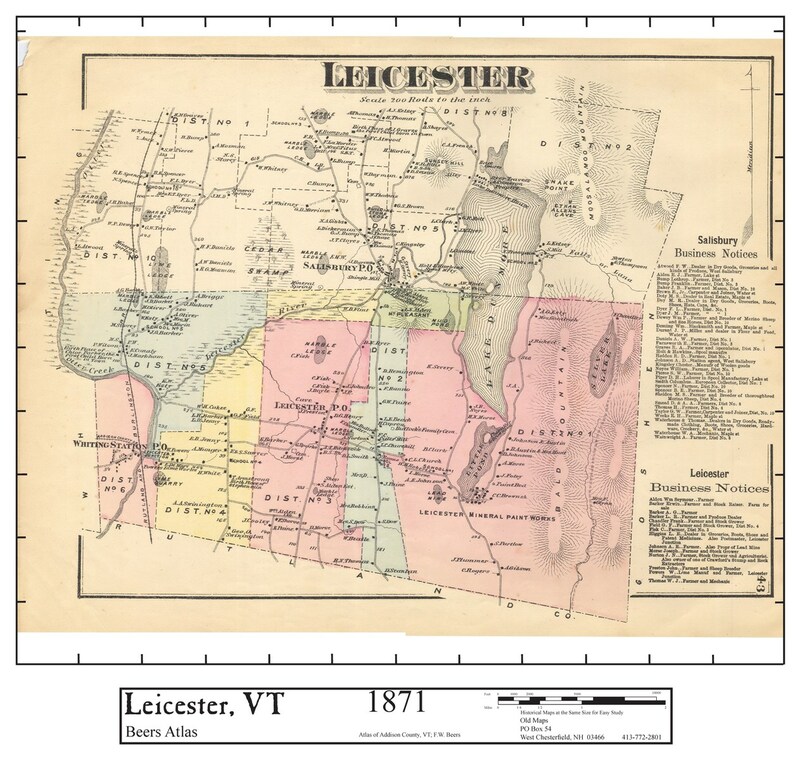 Also, there is a treasure trove of old Vermont maps at its source, http://www.old-maps.com/. The rest of the run was pretty straightforward – I stayed on the Leicester Hollow Trail until it came along the east side of Silver Lake, past the newly refurbished outhouses by the campground, and on down the dirt road where the adventure actually started. A few last comments on the name “Chandler Ridge”: While looking up information on the abandoned homesite, I also came across a lot of information on the old Silver Lake Hotel, which stood at the north end of the lake – it was built in the late 1800’s by a missionary from Montreal by the name of Frank Chandler, who also constructed the Leicester Hollow road. 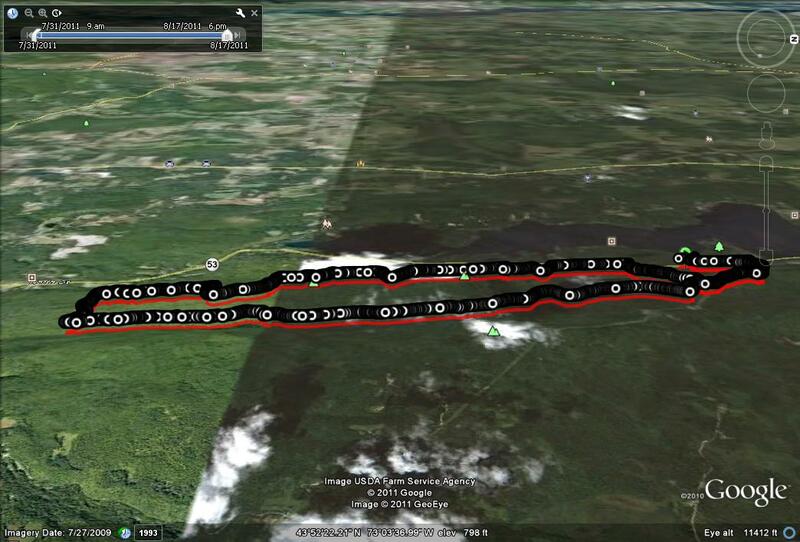 Also, according to some sources, including Google Earth, the Chandler Ridge is actually the ridge to the east of Silver Lake, not the ridge separating Silver Lake and Lake Dunmore where the Chandler Ridge Trail runs. Finally, I would like to express thanks to the kids in the VYCC for the the backbreaking work they have performed to rehabilitate some great old trails, and to our federal government for supporting their work – trails or tea party? Guess which I prefer! Overall this was really an epic route to run – it covered 12 miles, and while the overall altitude difference between the low and high points was not that severe, there were very few truly flat sections on this run – much of the gentle up and down nature of this trail is kind of lost in the natural error from the GPS signal. This run took me about 2 and a half hours with just a few stops for picture taking and water along the way. Jane and I just did this loop coming down from the Parking area in Goshen above Silver Lake. We did the loop on Christmas Day, and it was spectacular. We first ran south on Leicester Hollow, then back north on Chandler Ridge, which was in great condition. The views really open up with all the foliage down.